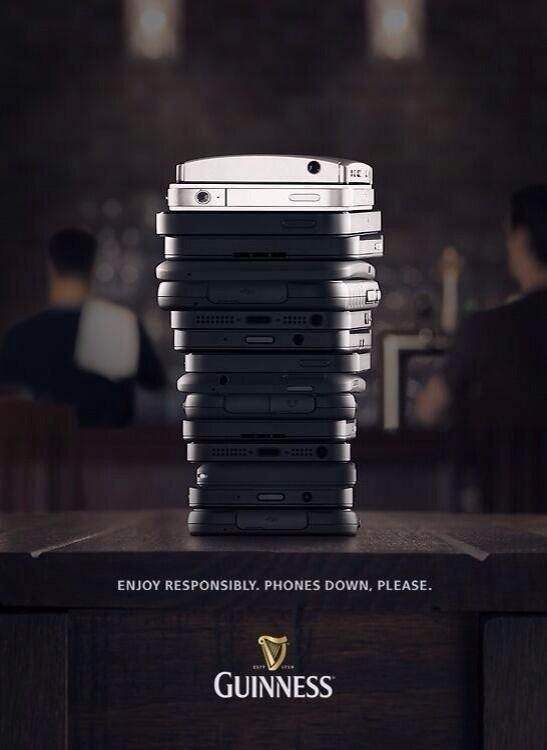 Since 1862 Guiness have been at the forefront in brand and building their reputation. 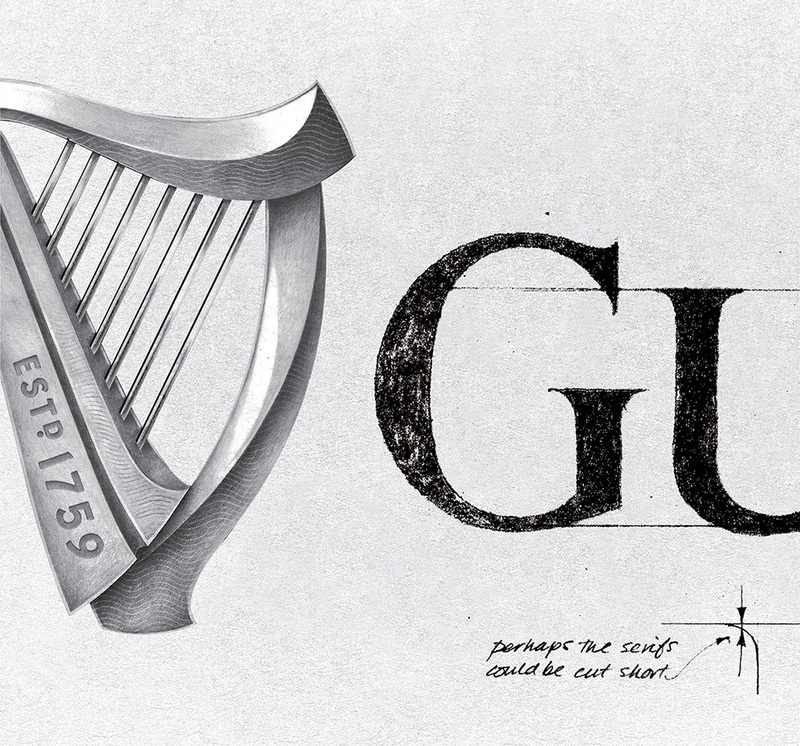 In our series of Brand Stories we look at the Guiness brand identity and its story. 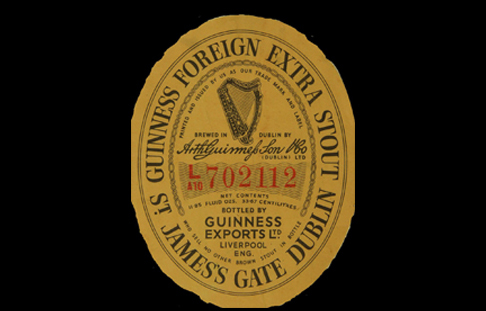 The first origins of the famous Guinness brand were formed in 1862 when the famous Dublin ebony nectar Brewer decided that they wanted to protect their product. They introduced a label which they supplied to their bottlers and made sure they guaranteed they wouldn’t supply another ‘brown stout’ in that bottle. This was the earliest form of Guinness controlling their brand and instilling quality. 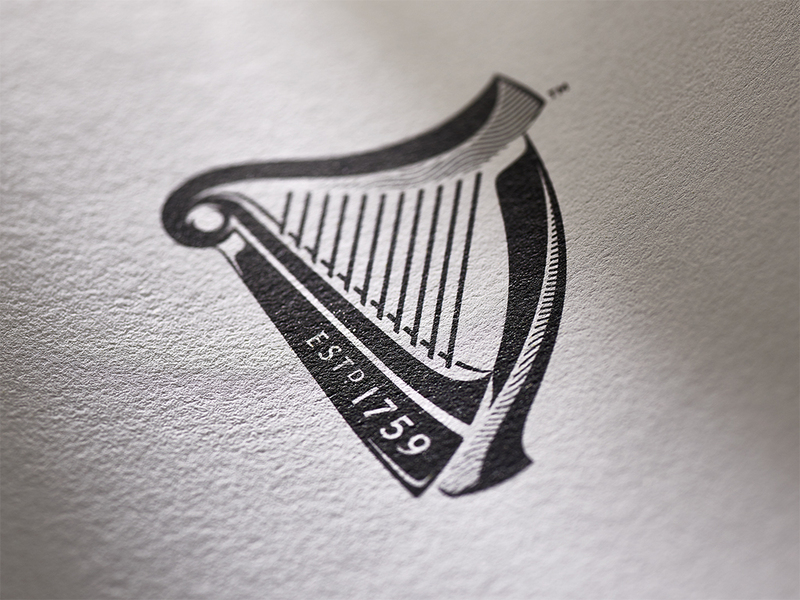 The Harp, the Arthur Guinness signature and Guinness name were the three core elements that made the start of the famous brand and have appeared in the brand for over 100 years. 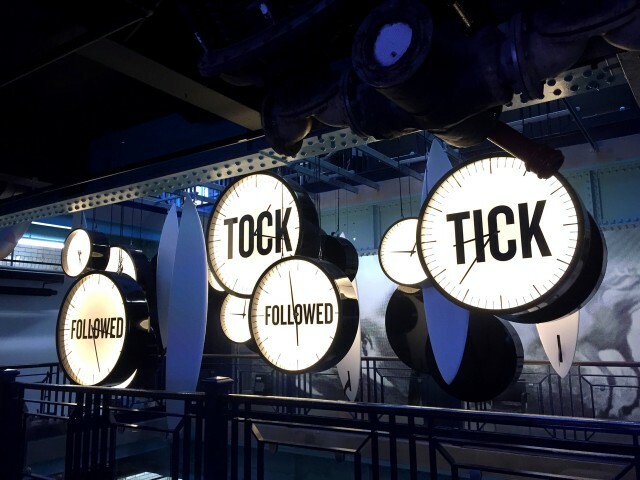 Elements of the brand have evolved over the years but keeping these 3 staples have helped the GUINNESS brand become synonymous across the entire globe. 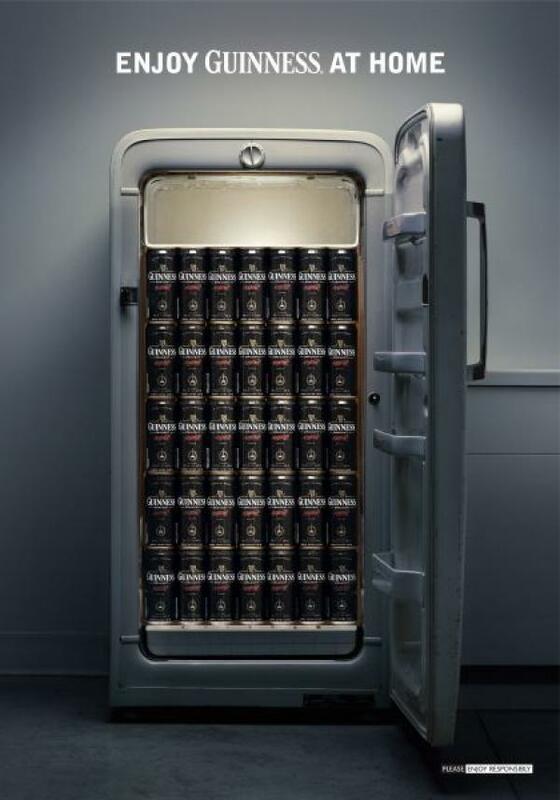 Guinness know that their brand is important to them and have reinvigorated the brand numerous times to ensure that it appeals to a new market of a different era. 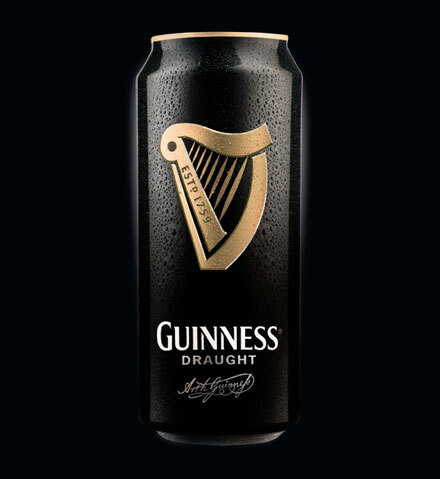 Changing up and refreshing this brand is bold and brave but Guinness have never been scared to be at the forefront of working on their own marketing to create longevity for their product. Let’s delve a little deeper into what they have changed over time and how they have made their brand a success. As recognisable as the smooth Guinness taste the Harp is front centre of the Guinness brand, optimising the Irish heritage and the roots of the famous Dublin drink. The Harp was registered as the company trademark in 1876 and is based on a famous 14th Century Irish harp which is known as the “O’Neil” or “Brian Boru” harp. 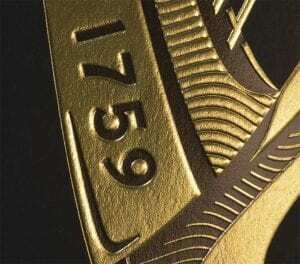 Over the years the harp has seen numerous changes, initially, the harp was shown in black but since the introduction of a simplified version in 1968, the harp is now famously shown in Gold also. The harp is also the official emblem of the Republic of Ireland but the difference between the Guinness Harp and the Republic Harp is in the position of the harp’s straight edge soundboard. The straight edge on the Guinness Harp always appears on the left which differs to the Republic’s which is always on the right. Recently in 2016 the harp was redesigned again and taken back to its origins with a twist by renowned design agency Design Bridge who collaborated with the original illustrator, Gerry Barney, who produced the simplified harp from 1968. They created the beautiful 2016 version of the harp which has a unique depth and edge which stands out against the trend of the time of flattening designs. Left: Guinness logo from 1968 designed by illustrator Gerry Barney. Right: 2016 Guinness logo designed by Design Bridge in collaboration with Gerry Barney. 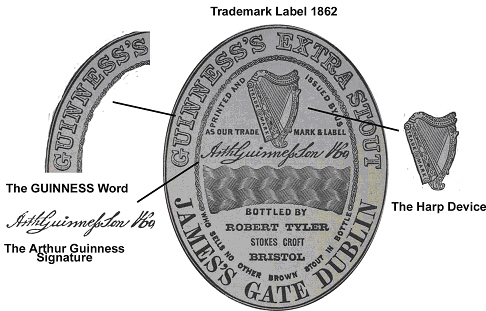 The Guinness signature of Arthur Guinness has been featured on all labels since the original in 1862, it is still featured to this day on the modern cans and labels of the most recent brand redesign. As per the harp over the years the signature has been adapted and refined to reflect the branding. The use of the signature helps to keep the Guinness brand close to its roots, a sense of ownership and reflecting its history. The use of traditional elements that have been adapted and refined strengthen the family feel and story that Guinness continues to build. The iconic word GUINNESS is not only a staple of Dublin but an iconic word that represents a nation and more. The original Guinness typeface was literally branded on everything from the wooden gates of the St James’ Brewery to the casks, boats and horse drawn carts that carried the famous stout. It was also included on the bottle labels and over time has adapted to the serif font that we know and love today. The original ‘Hobbs’ typeface that was developed and launched in 1963 and appeared on posters in Red lettering on a cream background. Further modifications have taken place over time on the typeface and up to this day there are new modifications being made, the 2016 redesign of the logo by Design Bridge has seen a slight change to the Hobbs Typface with the help of letterpress studio, New North Press. They have shortened the serifs and created a smoother feel to the letters which we feel reflects the smoothness of the drink. 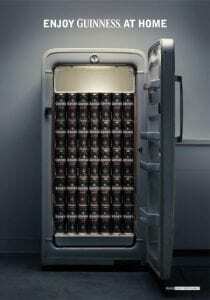 The Guinness brand doesn’t just stop at the logo and the history. 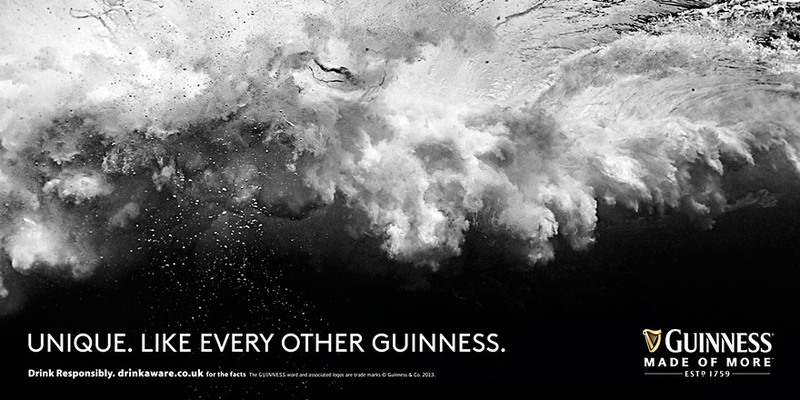 Guinness has always been at the cutting edge of marketing and advertising, keeping their brand alive to make people talk about the product. 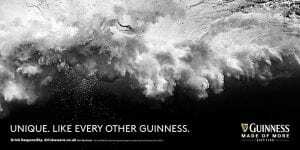 Ask anyone of drinking age if they know of a Guinness advert and I think you would be shocked that they didn’t know one…or at least recognise one if you showed them. Their message is strong and they keep using agencies that are prepared to take bold steps to think of something new to get that message across. 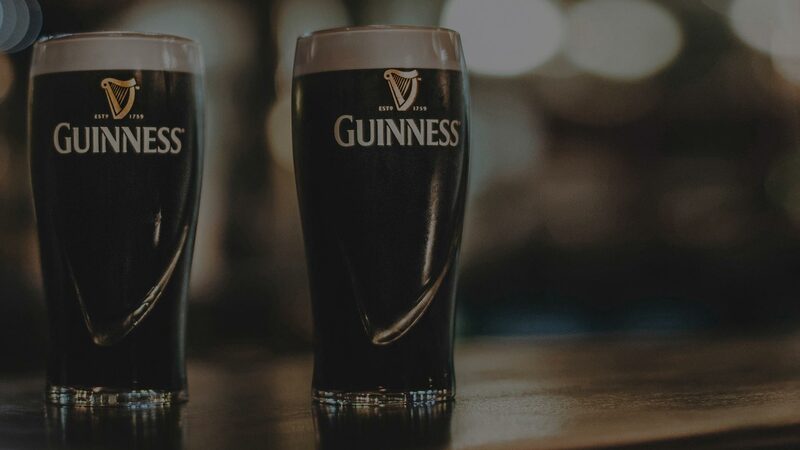 Branding is so important to a business and Guinness is a perfect example of how to get branding right, adapt and redefine yourself and take bold steps that will strengthen the position of the product. 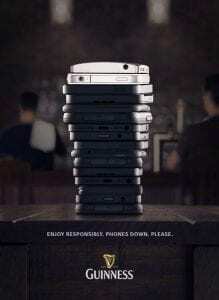 Guinness have multiple brands and products but in essence, customers buy one product and that product only and this is in part due to the branding and the concise message that Guinness have formed over time. They stay true to their values, work hard at being unique and creative and invest in their marketing, all elements that any business can learn from for their own brand story.